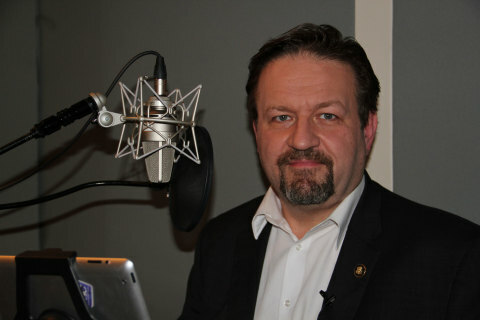 Salem Media Group (NASDAQ:SALM), announced today that Salem Radio Network is launching a new talk show hosted by Dr. Sebastian Gorka. The show—"America First with Sebastian Gorka"—will debut January 1, 2019 and will air daily in the 3pm to 6pm ET daypart on the SRN platform, replacing the Michael Medved show. "I couldn't be more pleased to have talent like Sebastian Gorka joining the Salem lineup," said Salem Media Group's CEO Edward Atsinger. "He's a perfect fit. Brilliant, insightful, educated and uniquely experienced. A great addition to the best faculty in Talk Radio." Michael Medved commented, "I feel grateful for the more than 21 years I've worked with Salem Media Group, and I wish continued success to my friends and colleagues at the network. Together with my team of producers here in Seattle, we'll be continuing our daily broadcast with no interruption, making it available to our devoted listeners in an exciting new format. We'll also move forward with our emphasis on history programs and commentary to encourage public appreciation of the real blessings of this amazing country. Stay tuned." Gorka is Fox News Channel's National Security Strategist and is a regular guest on Hannity and the FOX Business Network. He writes for "The Hill" and is the nationally bestselling author of Why We Fight: Defeating America's Enemies—With No Apologies (Regnery) and Defeating Jihad: The Winnable War (Regnery). Gorka was an advisor to candidate Donald Trump and served on the staff of the White House in 2017 as Deputy Assistant to the President for Strategy. "Radio has always been my first love, since I listened to talk radio late at night on a transistor radio as a child," said Gorka. "America is finally recovering its rightful place as the shining city on a hill after 8 years of liberal self-loathing." Gorka added, "Salem's broadcasts are essential to that recovery and I am honored to join Salem's team, the greatest lineup in talk radio with true patriots like Prager, Gallagher, Hewitt, Elder, and Metaxas." "There is a culture war going on in this country, and Dr. Gorka is uniquely qualified to take this fight to talk radio," said Salem Radio Network Senior Vice President, Phil Boyce. "His program will deal with the hot breaking news stories of each day, and help listeners understand what to make of it." Gorka has a unique story. His father was imprisoned in communist Hungary, because he was a freedom fighter against Communism. He was sentenced to life in prison for his views and escaped to the United Kingdom. He escaped with a young woman whom he would later marry, and they became Gorka's mother and father. Gorka was raised in London and was groomed on London talk radio from an early age. He obtained his doctorate in Political Science from Corvinus University in Budapest in 2010, was a fellow at Harvard's John F. Kennedy School of Government, served as Associate Dean at National Defense University, and has also taught at Georgetown University. "The Listener feedback we receive each time Dr. Gorka fills in for one of our Network hosts is overwhelming," added Salem Broadcast Division President David Santrella. "I think Dr. Gorka is the right person at the right time and the Salem Radio Network is definitely the right place." The company is the largest commercial U.S. radio broadcasting company providing Christian and conservative programming. Salem owns and/or operates 116 radio stations, with 73 stations in the top 25 media markets. Salem Radio Network ("SRN") is a full-service national radio network, with nationally syndicated programs comprising Christian teaching and talk, conservative talk, news, and music. SRN is home to many industry-leading hosts including: Hugh Hewitt, Mike Gallagher, Dennis Prager, Sebastian Gorka, Larry Elder, Joe Walsh and Eric Metaxas. Salem's digital media is a leading source of Christian and conservative themed news, analysis, and commentary. Salem's Christian sites include: BibleStudyTools.com, Crosswalk.com, GodVine.com, ibelieve.com, GodTube.com, OnePlace.com™, Christianity.com™, churchstaffing.com, and WorshipHouseMedia.com. Salem's conservative sites include Townhall.com®, HotAir.com, Twitchy.com, RedState.com and BearingArms.com. 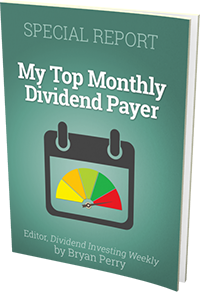 Salem's Regnery Publishing unit, with a history dating back to 1947, is the nation's leading independent publisher of conservative books. Having published many of the seminal works of the early conservative movement, Regnery today continues as a major publisher in the conservative space, with leading authors including: David Limbaugh, Sebastian Gorka, Ed Klein, Mark Steyn and Second Lady Karen Pence. Salem's book publishing business also includes Salem Author Services, a self-publishing service for authors through Xulon Press™, Mill City Press and Bookprinting.com.